I am Callen: Send Me To Iceland... Please! 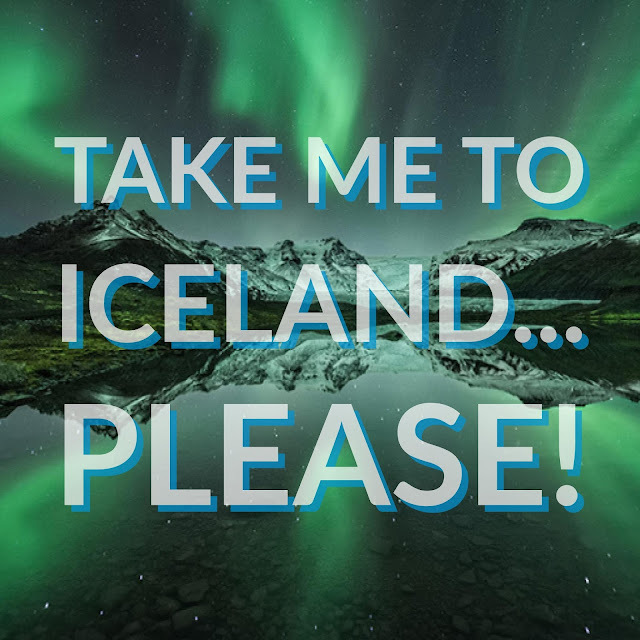 Send Me To Iceland... Please! Iceland is on my TOP 10 Places To Visit. You just know you'll find something interesting to do in a country that's a combination of glacier and volcano. The Icelandic landscape has often been used as a backdrop for movies and television shows such as The Game of Thrones and Prometheus. Iceland also gave us awesome musical acts like Of Monster and Men, Sigur Rós, and Björk. In November they have one of the coolest music festivals... EVER: Iceland Airwaves Music Festival! I'd been wanting to go ever since I first heard about it a couple of years ago. I was JUST talking about how going to the festival would make for a really awesome blog post series, when I saw this video. It was created for the travel site Inspired By Iceland and showcases some the cool stuff you could do in Iceland.